The Coffee Shop at Silver Mountain offers fresh from-the-bean coffees, teas, delicious hot chocolate, cold drinks and ices, hot soup, paninis, toasties, sandwiches, cold snacks and tempting cakes and muffins. Why not take time out to relax and refresh between taking in all the attractions’ activities? Just a few steps away from the Coffee Shop is the Gift Shop which provides the chance to browse a fascinating and colourful display of affordable gemstone and mineral gifts plus plenty of fun items for the kids. The Coffee and Gift Shops are both accessible via the Admissions area free of charge so even if you just fancy calling in to check out what all the fuss is about or to plan a future visit you can still take in the refreshment and gift buying opportunities, and of course parking is free too! Essential facilities are available and you will find convenient access to toilets, picnic areas, and free car parking. The Coffee and Gift Shops are accessible free of charge too. 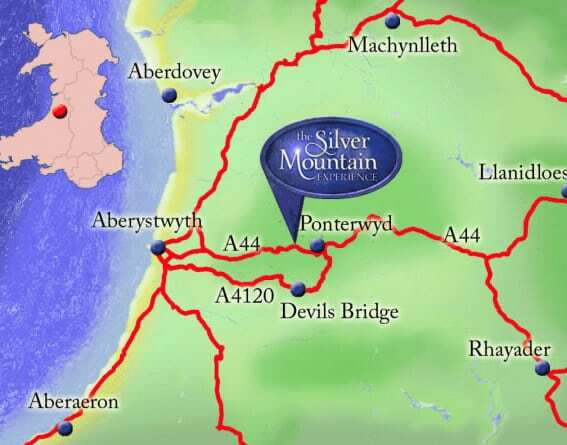 Our helpful staff will point you in the right direction should you need any assistance making your family day out at the Silver Mountain hassle free. · Be kept on a lead at all times (sheep, children and mine workings are not a happy mix for free-roaming dogs, however well behaved!). · Be people-friendly and comfortable with lots of people around, especially excited children. · Generally quiet and manageable by owners. · Be cleaned up after by owners immediately after dogs doing their business, even in the car park where we recommend you take them for a walk anyway first before entering the attraction. · If the weather is cool and suitable enough to leave dogs in your vehicle, please follow all sensible RSPCA advise about doing so e.g. windows partly open etc. We will allow you to exit the attraction as often as you wish and return free of charge after checking on your dog(s). We reserve the right to refuse admission to dogs and owners at any time if we feel it is in the best interests of safety or the comfort of our visitors and staff. · Bring secure or sturdy footwear especially if taking a tour/experience as flip-flops or sandals are not suitable. · Bring Crocs or old sandshoes for children if they are likely to paddle in the stream. · Bring a light fleece, jumper or jacket if going underground as it’s always cooler there even on hot days. 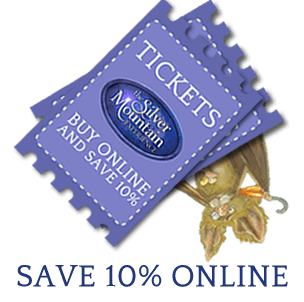 · Book and pay in advance via the Internet to save 10% on your admission tickets. · Bring items necessary for the comfort and hygiene (poop bags etc) of your dog if bringing one. · Contact us before setting off if you are unsure about the suitability of the visit or the tours for any medical or other condition that you think may affect your visit.